I have Worry Dolls too. I have them also in a little yellow wooden box with red dots on it. I wish I remember where I got them, I’ve had them for years. I need to ask my mom, since I think she may have given them to me, though it may have been my step-brother. I think I’m going to take them out and put them by my bedside for the next 2 weeks so that maybe they can take my worries away or at least help me deal with them. 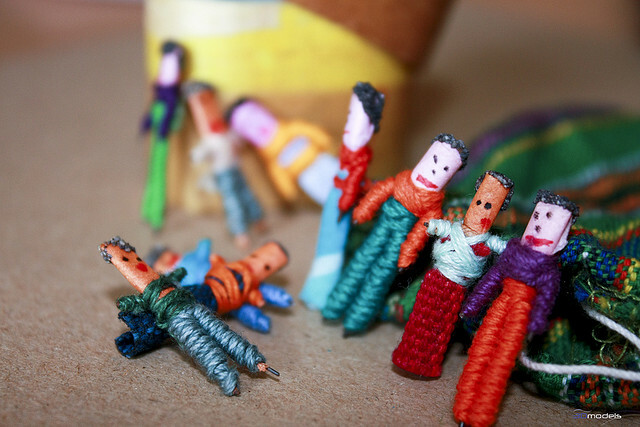 I never knew about worry dolls. I love the idea though.